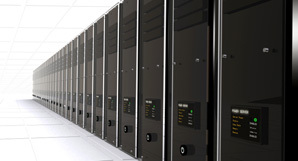 We offer several hosting packages to our clients or can tailor hosting to your specific needs. A fast, streamlined hosting service suitable for CMS websites or other web applications that need more space and power. Our servers are housed in a state-of-the-art data centre in Sydney so Australian websites will run with maximum speed and efficiency. Website backups taken daily are available for $10 per month to secure your data. Support and maintenance plans, including updating your Drupal CMS website with monthly security releases, start at $49 per month. Contact us for customised plans and prices or for VPS or dedicated server plans. A secure certificate is required to create a trusted encrypted connection between your browser and the internet website. This is most often used for eCommerce sites where credit card details are handled. The certificates are certified by GeoTrust and require a static IP to be allocated.